This gourmet duo is a standard in any home. 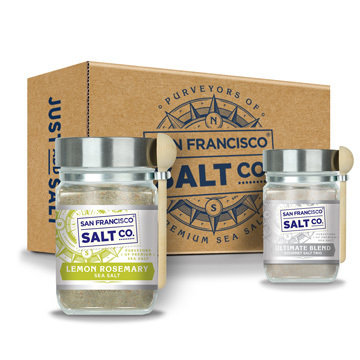 These all-natural salts can be used in so many ways on practically any dish. Packaged in beautiful jars and served with a wooden spoon, this chef jar duo is the best gift for the season.